Take the art of face sculpting to bold new levels with this comprehensive Highlight & Contour Pro Palette with eight customisable shades to sharpen your cheekbones, slim your nose and jawline and give your skin an ethereal glow. The formula is ridiculously easy to blend, while the different colour options can be mixed and matched for natural-looking definition. Experiment with light and shade to your heart’s content with this must-have palette offering eight shades for you to experiment with. The different colour variations give you the option to 'tweak' your contour and highlighter shades to perfectly suit your complexion (as opposed to looking like painted-on side burns), while the finely milled powder formulas blend easily for an air-brushed finish. 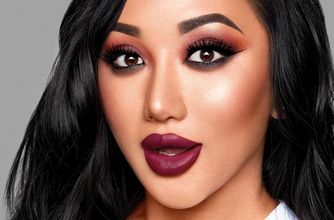 Apply the darkest shades to hollows (beneath cheekbones, along your jawline and to temples), then use the lighter shades to 'bring out' anywhere that light would naturally strike - cheekbones, brow bones, bridge of the nose and cupid's bow. Once again NYX proved me that affordable make-up doesn't mean cheap looking makeup. I have been using this for the last couple of months and I have to say that I'm really impressed. It blends like a dream, it's really pigmented and very versatile (I even use these as a crease/transition color). Would suit a lot of different skin tones, highly recommend! My skin is extremely pale during winter and bronze during summer so I needed a contour kit that could be helpful during both periods. 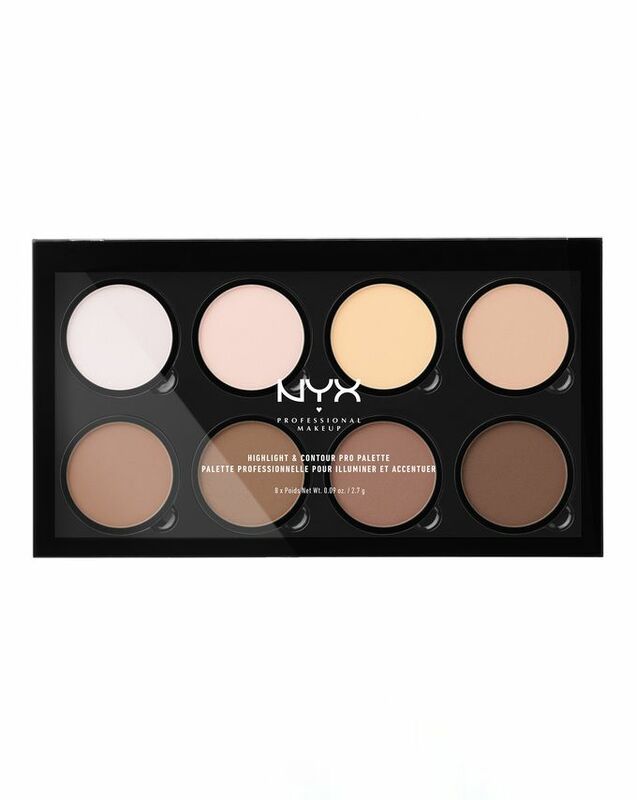 This kit has been incredibly helpful in my case as it has 3 highlight shades,4 contour shades and a shimmer highlight for highlighting your cheekbones, nose, and eyebrows. Combining the contour shades you can create a bronze perfect for your skin tone. Also, I've had this product for almost a year now and haven't used it all. You are a purchase and one brush tap away from a perfect contour. I use this palette on clients and I have one for myself too that I use every day. All of the powders apply beautifully, and have a smooth blendable finish. Also, the colours are quite diverse and it's really affordable so it's brilliant for beginner MUAs to have in their kit. My skin runs a tad darker than most, being Indian, and I have to say that this is the first generic contour palette that isn't specifically marketed towards darker skin tones that actually works for me. I can use all the contour shades and the highlights and setting powders no problem. They all apply well and blend easily, they are pigmented and smooth without being too pigmented and thus creating a mess. I do think the palette is quite pricey for NYX, essentially a drugstore brand, but still worth it. A fantastic palette made up of eight great powders. Was debating about buying this palette for a while and finally decided to take the plunge. First of all, I really love it. The palette is powdered and very pigmented but also blends beautifully and has a perfect range of colours for a range of skin tones. Secondly, I have really oily skin and the palette doesn't effect this. I'm also for pale in complexion and I love that there's a range of colours that create a nice contour without being extremely orange looking or almost grey. I used to use the Smashbox contour kit which is double the price but this is way better and there's a lot more product and value for money! I'm so glad they brought NYX makeup out. This is the best dupe for the Anastasia contour kit, except it has two more shades which I love. I recommend this because it amazing! It's pigmented, blends smoothly, texture is very soft. I use the warmest dark tone as bronzer (I have warm undertone of my skin), others - for contouring. Highlighters are lovely, with soft natural finish. I'm happy. Bought this palette for my girlfriend because she's been talking about this palette since ages. She loved it, she couldn't have been happier. I love the palette, looks so professional. It's so pigmented and I love all the highlighters. It's just a little bit dusty. So pleased with this palette. Blends well and highly pigmented. The yellow powder is great to highlight the under eye. A definite must have, especially for the price. This palette is absolutely insane. Probably one of the most affordable ones I have come across and it has such good pigment. 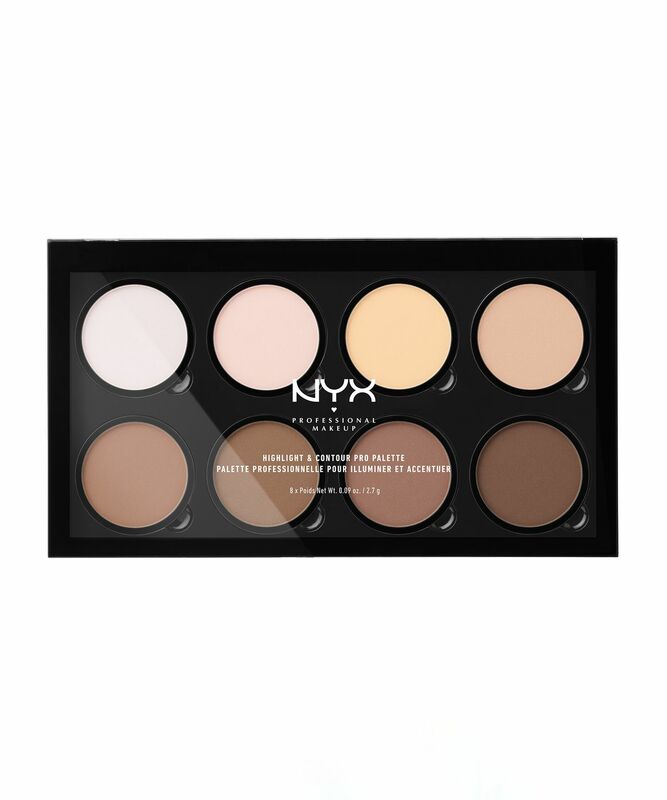 It blends easily too and as the title suggests is a great dupe for the ABH Contour Kit.